Yes, You Do Eat Insects! Maybe not deliberately, as in those who engage in entomophagy, the technical term for eating insects. Think of chocolate chirp cookies! Think of cricket flour! 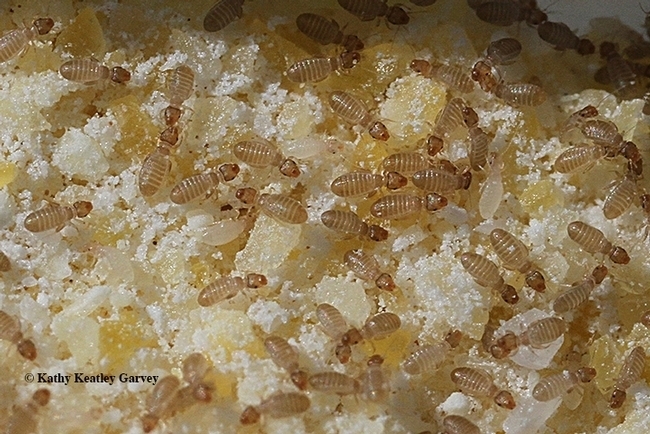 Think of making a meal out of mealworms. For thousands of years, "humans have harvested the eggs, larvae, pupae and adults of certain insect species from forests or other suitable habitats to eat," according to a page on the UC Riverside Center for Invasive Species Research website. "This practice is still common in many tropical countries where certain insect species grow to large sizes, and they are abundant and relatively easy to harvest year around. Insects as food are an excellent source of proteins, vitamins, fats, and essentail minerals." In fact, as the UC Riverside officials point out: "there is a strong case in favor of mass rearing insects for food as this practice is probably less environmentally damaging than other forms of protein production." And, compared to eating cattle, eating insects is "five times more efficient at converting food into edible tissue." Coming soon: insect farms in your community? Or in your cornmeal? 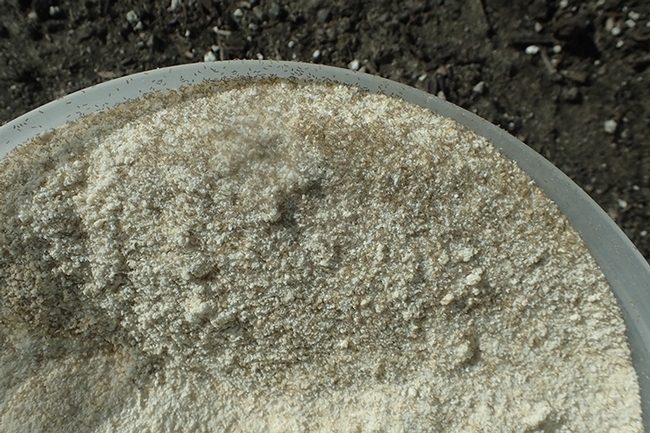 Last Monday, yours truly posted an article on "bugs in cornmeal" on the UC ANR Food Blog about an "insect farm" in the six-month-old cornmeal in our pantry. The cornmeal came to life in a see-through jar, with a tightly fitted lid, but you could barely see them. These Liposcelis bostrychophila, or "psocids" (pronounced "so kids"), are common pests in stored grains. They're usually unseen because they're about a millimeter long--about the size of a speck of dust--and are transparent to light brown in color. They're called "booklice," although they are not lice. "Booklice can be scavengers and often feed on the bits of mold or fungi that grow on damp materials," entomologist Jeff Smith, who curates the Bohart Museum of Entomology's butterfly and moth collection, explained. "Very old, neglected food stuffs are also subject to them, and the key to prevention is to use food materials reasonably quickly and not store them for years, store them in a nice dry location and in airtight containers." Great post, Kathy! Love seeing the statistics about how many insects we eat unknowingly each year. I've often wondered about that.